Owerri, one of the most beautiful cities we have in the eastern part of Nigeria, the capital of Imo State and also the largest city in the state. Owerri Municipal, Owerri North and Owerri West are the three major Local Government areas that make up Owerri. The beautiful city of Owerri shares border with Nworie River to the South and Otamiri River to the east. Given the slogan Heartland, the city of Owerri has really proven its title being the capital of entertainment in Nigeria owing to the confluence of quality relaxation centres we have in Owerri. According to the 2006 Population, Owerri is hosting over 400,000 of the Nigerian population. As the city of Owerri is gradually taking form have a megacity look, a number of beautiful looking houses have also been built having a taste of class. Houses for rent in Owerri vary in different forms showcasing style which has shown evidence that the city of Owerri is fast developing and might be compared to other megacities soon. 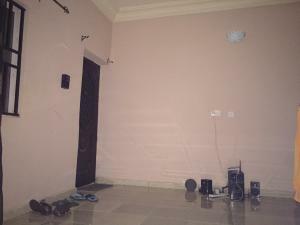 Apartments for rent in Owerri are well built in serene locations that boast of a good road network. Flats for rent in Owerri Municipal comes in various with respect to the number of rooms they have as there are two(2) bedroom flat, three(3) bedroom flat and four(4) bedroom flat. With N200,000 you can get a two(2) bedroom flat for rent in Owerri and about N350,000 to get a three(3) bedroom flat for rent in Owerri.